Nordberg C130 can process more rock in the crushing process, thanks to the larger cavity volume delivering higher production in high-capacity primary crushing in demanding quarrying and mining applications. The cavity volume of a jaw crusher has a big impact on the efficiency of the crusher. 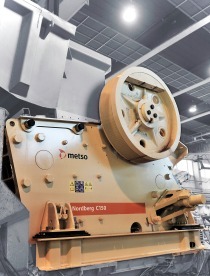 The Nordberg C130 jaw crusher, introduced by Metso, has a 21% larger cavity volume in comparison to previous models in this size class. The larger cavity volume means that more rock or ore is in the crushing process at one time. The increased volume combined with the extra large feed opening ensures high-capacity primary crushing in all demanding quarrying and mining applications. 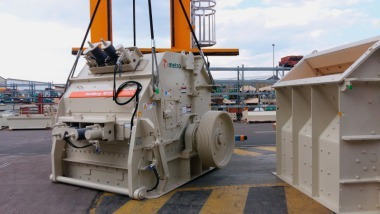 The introduction of the Nordberg C130 jaw crusher continues the renewal of Metso's proven, mid-size and large jaw crushers. 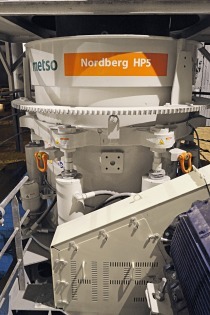 Prior to the launch of Nordberg C130, Metso launched the all-new Nordberg C120 and C150 jaw crushers. "Our C130 really stands out of the crowd with its bigger cavity volume. In fact, the cavity is larger in all three dimensions: deeper, wider and longer. Consequently, the new cavity can process over 20% more material increasing crushing capacity significantly, comments Ilkka Somero, Metso's Product Manager for jaw crushers. The large, 1300 x 1000 mm (39" x 51") feed opening of the C130 jaw crusher is able to process even the coarsest feed and maintain a trouble-free material flow through the crusher. This results in savings in blasting costs and allows the processing of coarser feed at the primary stage. "This new design combined with a 160 kW (200 hp) power range, a small nip angle and excellent kinematics ensures aggressive crushing along the whole length of the crusher cavity," Ilkka Somero adds. Thanks to the compact design, older crusher models can be easily replaced with the C130. The pinned and bolted design also makes it possible to disassemble the C130 and transport it even to the deepest underground mines. 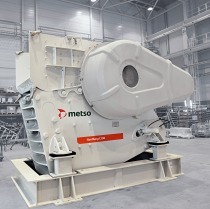 Safety is one of the key focus areas for Metso when designing a new crusher. The C130 features optional, easy-to-open composite flywheel guards that allow quick and safe access to all service points. The standard delivery includes lifting tools for jaw dies, cheek plates and a toggle plate, all contributing to operational safety. The Nordberg C130's operating speed is 220 rpm and the closed side setting between 100-250 mm (4''-10''). The operational weight is 40,100 kg (88,500 lbs), excluding options. In addition to the composite guards, the new C130 can be customized to any application with options such as a wear-protected feed chute, an integrated motor bed with electric drive, a hydraulic setting adjustment, a rock breaker and a boom combination, and a IC1000 process automation package, just to mention a few.